View our Virtual 3D Tour! 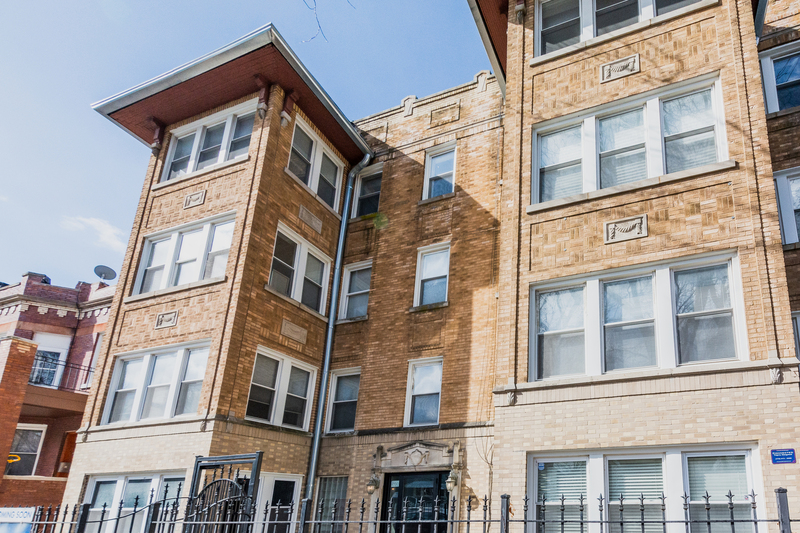 Stop looking & welcome home to the perfect 2 Bed/1Bath condo in hot 60647 Logan Square Neighborhood. This condo meets your investment needs or a place to call your own home. Tear off roof &apos;17, pet friendly with no rental restrictions. Enjoy hardwood flooring throughout, incredible natural light fills the space, large living room/with bonus area. Both bedrooms can comfortably fit a king-sized bed, LARGE closets with built-in organizers. Second bedroom is styled with beautiful French doors to make a great office space, study or guest room. IN-UNIT laundry, spa-like bath with travertine marble & whirlpool tub. Enjoy the convenience of a large on-site storage unit, perfect for bikes & seasonal gear. Spacious kitchen w/ stainless steel appliances, ample counter space, granite countertops & stunning mahogany cabinets. Easy access to public transportation, 1 mile from the 606 trail, blocks away from the nightlife Logan Square offers. Home warranty included in sale.